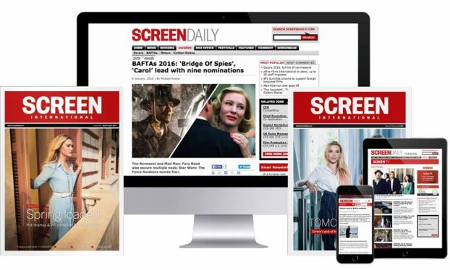 Screen International, in assocation with Creative Skillset, last week hosted an industry roundtable to consider the key issues for the future of the UK film business in the digital landscape. Digital technologies provide considerable opportunities and challenges for the film sector and are shaking up traditional business models. The new technologies impact every step of a film’s lifecycle, from script, budgeting and shoot to theatrical, VOD and other types of release. Screen International, in association with Creative Skillset, last week hosted an industry roundtable, called The New Business, to consider the key issues for the future of the UK film business in the digital landscape. In a wide-ranging discussion, the panellists discussed the impact on the film business of piracy, narrowing windows and shifting value chains. The group also made some bold forecasts about the future and considered how the industry can better understand its audience and changing consumption habits. This is the first in a series of discussions that Screen will host in association with Creative Skillset. Screen would like readers’ feedback on the hot topics discussed at the roundtable. Use the comments section below to sound off on changing audiences, the multi-platform world, and the future of VOD. Jill Tandy: This is the age of the entrepreneur. Today we see people coming to us at Inside Pictures with such different and varied skills. Stephen Woolley: I have set my films up in a traditional way. I can see the writing is on the wall in terms of how we relate to foreign distributors. We have a lot of decisions to make over the next few years. The business is changing. The amount of films financed in the old school manner of presale and private equity still exist but there are less of them. It’s about how we as producers accommodate changing audience habits. But audience loyalty is something that hasn’t changed. People still have a loyalty to cinema. Pete Buckingham: But sometimes people get too excited about what new technology can do and how it can impact their business. Actually it’s not quite like that and the wheels turn a lot slower. Cinema is maintaining a value chain but other elements of the value chain are not. And change in itself can be difficult for us to encompass because we’re at times not open enough or the digital world isn’t interested in us enough which is a worrying aspect. Clare Binns: This sector has recognised things much faster than the big multiplex chains and the studio distributors. They are struggling under bigger issues and greater financial pressures so they can’t be as fleet as foot as we are. They are not prepared to be as flexible. On the independent exhibition side I think we’re going back to the days of The Scala and a model like The Prince Charles Cinema where there’s a different film every day but you might play films for 20 weeks. To try for 28 shows lasting one week is ludicrous. Stephen Woolley: I wish Made in Dagenham had been able to play on week days for a longer period rather than on weekends. That model would have helped the film a lot. Digital distribution allows that flexibility around what you programme and when. Eve Gabereau: And screen averages need to be understood differently. It has to be based on the number of shows. A film’s perceived success will of courese be damaged by not digging deeper into how many screens it went out on. Debbie Rowland: The beauty of day and date VOD is that we can reach someone in the Outer Hebrides the same day they read the five star review in the paper. CB: We’re doing more distribution, and we’re doing more alternative content because that’s what the customers are demanding. We could move into VOD, too. Thorsten Schumacher: VOD is replacing theatrical already. I’ve just come from Beijing. People in China are not even buying pirated DVDs any more. It’s too cumbersome. SW: Piracy is still a major problem here, though. Kids are so accustomed to illegally downloading. It’s so easy. It becomes a sport. Liz Rosenthal: But consumers want well-curated film platforms. TR: I don’t think piracy will be our main problem. If you look at the music industry they changed the price model to 99 cents per song and everything changed. The business model changed. LR: I was looking at some research last year about the percentages of streaming in residential areas. Netflix had the largest share at 30 per cent. Bit torrent was around 20 percent. This was a year ago. CB: That’s the point. The pricing is key. People don’t want thousands of DVDs anymore. PB: But the figures are horrendous for VOD. 2004 was a peak year in the developed film economies. The DVD market accounted for three times the theatrical box office. Screen Digest predicts they will be level in 2014. That’s a gigantic decline in revenue. VOD is not picking up the slack. You can’t just say VOD will pick up the slack. For whatever reason, consumers are not taking to VOD in the levels they were to DVD. The pressures existing on a declining value pot is one of the biggest problems we face. There is a short term boost with Netflix and LoveFilm offering big MGs but that’s not translating at consumer level. That’s the underlying issue. TR: With DVD you had a limited number of sales outlets – HMV, etc. With VOD the price is lower but the reach is much wider. I think the major problem will be that everything will be available everywhere. The problem will be in the marketing. How do you make yourself visible in such a cluttered market? That’s where theatrical comes in. EG: Historically it’s hard to define what VOD is. As a distributor we see VOD as an extension of DVD. If you’re a producer you’re looking for a higher pecentage of VOD as part of the theatrical or TV deal. I think VOD is also an extension of theatrical. Technology – The elephant in the room? LR: The underlying problem is also that we just don’t have the technology. Technology such as connected TVs are clunky and many TVs may have the capability of being connected but they are not. The user experience is confusing. Do you get a set top box? Do you get a smart TV? JT: Curating and recommending product will become vital. LR: Yes, There are many more opportunities to personalise experience with digital technology. If someone can’t get out and wants to watch it at home in a certain way you can personalise the experience. CB: There is always fear out there. I remember going to Europa Cinemas conferences 15 years ago and people were saying ‘we don’t want digital, we’re not going to have it’. There’s always an element of fear in change. Digital – A cheaper proposition? CB: We talk about TV being clunky and technology changing too often but with digital cinema you have to buy library servers and think about which satellites are you pointing where and the cost of bringing content in via satellites. We’re upgrading all the time. There’s always another thing to buy. But obviously we wouldn’t do it if we weren’t making a profit. On the flip side things have also become logistically easier in some respects. We’re going to centralise trailering. I can sit at my desk and work out what will be trailered so much more easily. EG: And of course historically distributors weren’t paying for it but now we are. CB: Less than half our screens have VPFs. We have long discussions about managing that because smaller distributors wouldn’t be able to get on screens. But digital transmission also means we are able to show more alternative content which is booming for us. Even our afternoon sessions are selling out. The more alternative content we do the more appetite there is for it. DR: Kids will watch films over a number of sessions on different devices now. And children are on Facebook while they are watching on various platforms. LR: Kids want a film here, there, as a toy, in all kinds of forms. TS: But people used to watch two-hour programmes in the cinema and consume all their news in the cinema as well. When TV arrived and people claimed it would be the end of the cinema but the TV industry became the back bone of the film industry worldwide. Is the same thing happening now in a way? You have art-house and blockbusters in the cinema but when people watch quality drama it’s on TV. CB: It happens that there is good TV at the moment. But there are plenty of quality films too. People have different needs at different time. DR: For children, social interaction with their community is key. We need to tap into that. SW: For my kids the most pressing problem when considering going to the cinema is price. It ends up being a much better option to watch it at home on DVD or VOD. CB: And we’re grappling with that. We have special prices for challenging films. It’s about making films an event - family tickets. We’re trying to programme things differently. PB: According to a recent report I read about 18-24 year-olds they flag up the risk inherent in going to the cinema. It’s a gamble. Cinema is not very sociable. “With the cinema you don’t feel like you’ve seen your friends, only the film,” said one respondent. The DVD experience is more sociable. Can I control it and can I share it are two questions consumers are asking. In five years’ time kids could club together and pay £50 to watch a film the same day it comes out at the cinema. I think that’s a model. Even if they’re not watching it at home they’ll share it virtually. Similarly, in cinemas there will be wireless and people will be on their phones and sharing on Facebook while they are in the cinema. TS: In rural areas in the US, the number of driver licenses has gone down. People are staying at home. Dan Simmons: It’s about understanding the decision-making process. We are talking to the IPA – the Institute of Practitioners in Advertising. They do media behavioural surveys into what consumers were doing before, during and after consuming a film. We’re interested to know whether we need more data to analyse this area. Do we need to bring in talent in from other industries to help us understand our audience, for example? TS: But there’s always France. They still have these big windows. And it works perfectly and they are all pretty happy. They have a huge cinema-going audience. CB: I think we’ll see exhibitors and distributors talking directly to filmmakers at an earlier stage in the future. JT: We’re going to see a realignment of IP and rights ownership. Producers will have to monetise slates rather than individual projects in the traditional way. It starts with the audience…. CB: People want a range of things. They always have. What’s changing is the way they get it. SW: But you can’t rely on the end user to take that risk. Somebody out there has to take the risk. There are 100 turkeys for every success. You don’t get to the successes by simply following a pattern. It’s easy in hindsight to say this or that film was going to be a success. Most people if asked whether they thought the Artist would have been a big hit would have said no. The reality is that in order to make a film like The Artist those people needed money. You can canvas an audience now and say would you like to pay for a black and white film with a little known cast that will cost x amount in a year or two’s time and they’ll probably say no, probably not. So you have to allow the creativity to come up with interesting ideas and for money to be there. You can’t rely on the end user to take that risk. Somebody out there has to take the risk. LR: Film is a wonderful experience. But now people want a very different experience. As producers and entrepeneurs we have to help them do that. We have to think in that way. People want content on multiple platforms. Iron Sky is a great example of a director who wanted to make a feature film but also spent a long time developing his community, making sure they were engaged in what he was making and developing other products for that community. There is a lack of lack of money and risk in that area. Building IP is important. CB: Exhibition is making baby steps toward working closely with producers and project developers. PB: But the industry doesn’t seem to be properly concentrating enough on what it is the consumers are doing to come to that particular film rather than another film. The numbers are not good. We’re not in an expanding business. If you’re a young person wanting to join an expanding sector you don’t join film. LR: We have for too long thought that film is the top experience we can have. There are many experiences we can have. This is an exciting creative space and creators can do so much more with their content. Screen would like readers’ feedback on these topics discussed at the roundtable. Use the comments section below to sound off on changing audiences, the multi-platform world, and the future of VOD.